Posted on July 23, 2018 at 5:30 pm. THE biggest poker tournament in Australia — The Aussie Millions Poker Championship — will be held from January 15 until February 4 in 2019 at Melbourne’s Crown Casino. Poker in Australia is going through a significant lull after the Interactive Gambling Act update wiped out online options including Pokerstars and 888 Poker, two brands that have traditionally held tiered satellites for the event. It will be a telling moment for the future of the Aussie Millions when final entries are tallied for the Main Event, with increasing fears numbers will be down significantly as it becomes harder to play online down under. A pub poker host in Melbourne, who did not want to be named, said it was a common topic of conversation among players that the lack of online options was curtailing peoples enthusiasm for the game. “We have not seen a rise in live participation across the board since the laws changed,” he said. “In fact I think it has had the opposite effect — out of sight out of mind — and less people are playing poker full-stop. Crown Casino traditionally has thousands of extra faces visiting it during the Aussie Millions poker tournament, with the world’s eyes watching as players of the ilk of Phil Ivey and Daniel Negreanu battle it out. The action-packed schedule will include the official gold bracelet event, live satellites and cash games, along with daily tournaments running for 21 consecutive days. 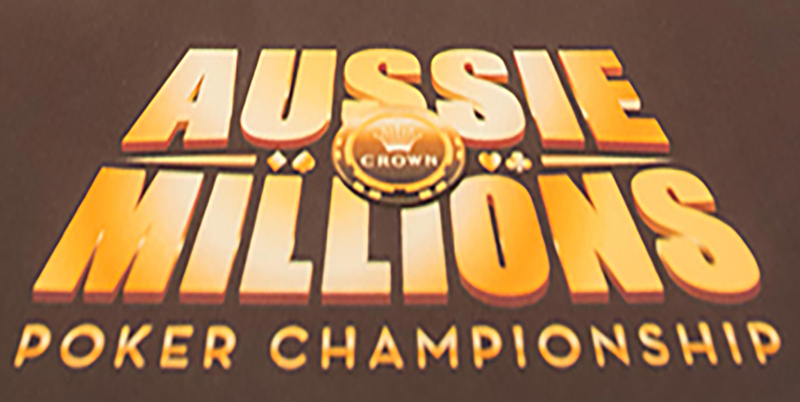 “The 2018 Aussie Millions saw the Main Event break through the magical 800-player barrier for the first time in its long history and we can’t wait to see what the 2019 Series will bring,” Crown Melbourne’s Tournament Director Joel Williams said. Every year in excess of 7,500 players from all across the world descend on Melbourne for the three week poker festival – all with hopes of taking home part of the estimated AUD$21 million total prize pool that’s generated each year. Nearly 100 poker tables will be set up across the award-winning Crown complex to accommodate the thousands of players from over 35 countries who visit Crown during January to compete for a share of a total estimated prize pool of over AUD$21 million.